This Section of the Website is an historic record of major Club Activities and Events. 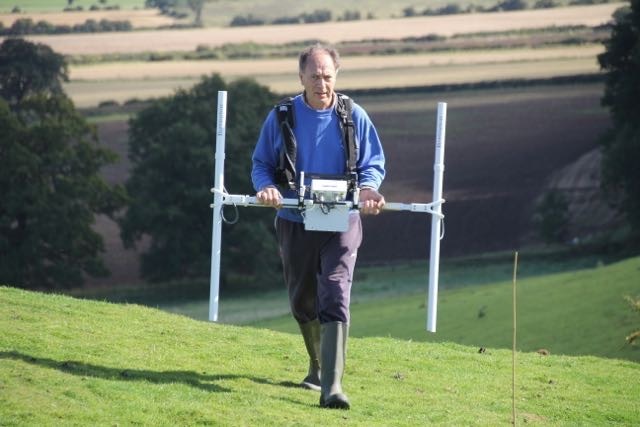 Each normally consists of just one or two photographs or image and a write-up of the event. To access the full article click on the MAROON headline to each section. To see a wider selection of parallel Photographs or Images from the same event, when available, please click on SCRAPBOOK. 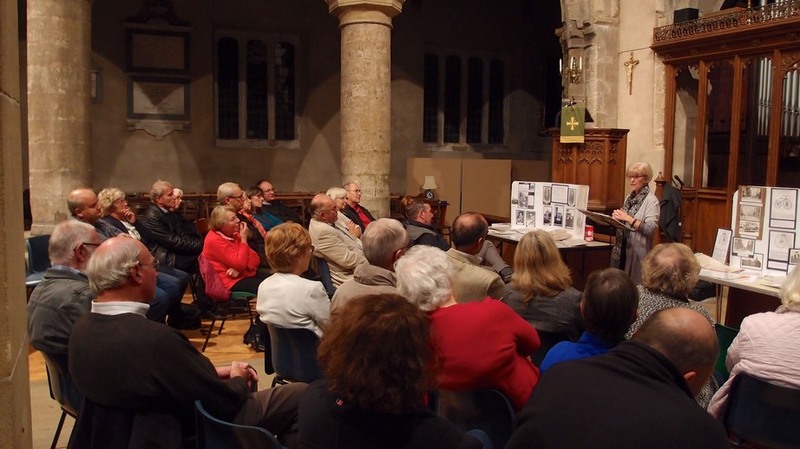 On a cold evening the History Club was delighted to welcome over 60 people to the Church to listen to a talk on “Flying the Vulcan” during the Cold War era. 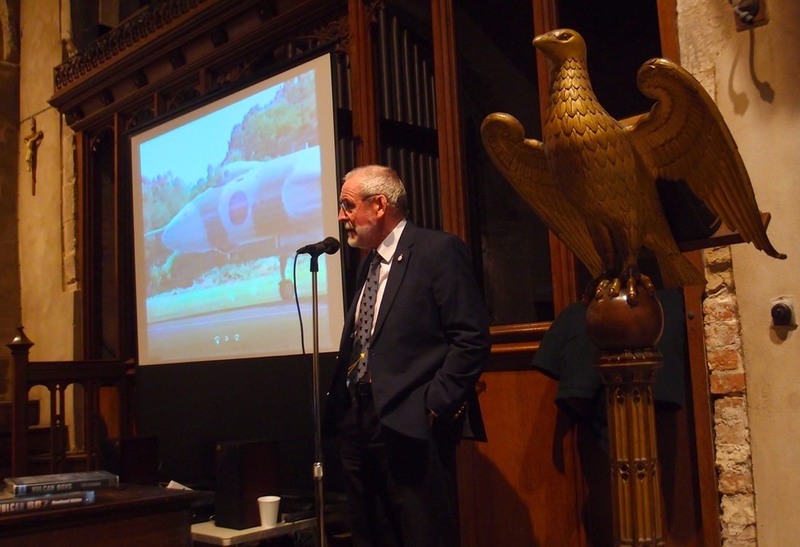 Retired Wing Commander Adrian Sumner from Retford was an entertaining speaker, with a substantial selection of projected pictures, which told the story of his dozen or so years, travelling all over (and around) the world with a series of Vulcans on behalf of the RAF. This once substantial fleet of V bombers is of course no longer active or in existence, but by strange coincidence the front half of the aircraft at Doncaster Air Museum, as well as the complete aeroplane at RAF Cosford, were units that Adrian had actually flown. He had a wealth of interesting stories about the aircraft and its missions. 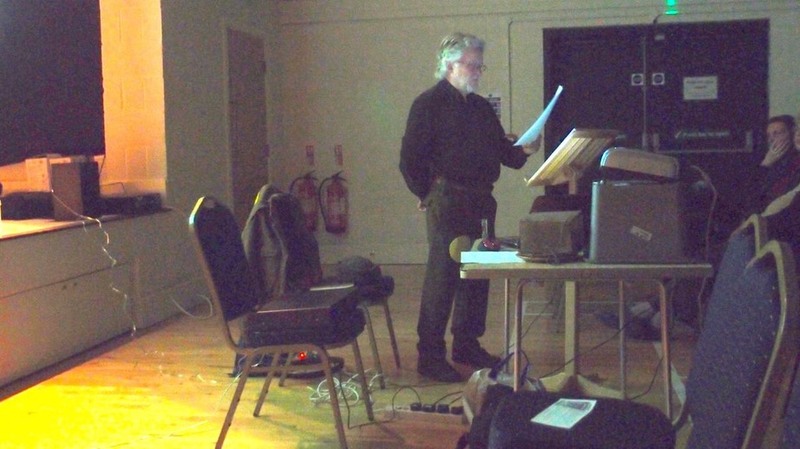 His talk was interspersed with some historic movie clips of the aircraft in flight. He concluded with a summary of the moving ceremony when along with the RAF top brass he handed over a Vulcan aircraft to a museum near Omaha, Nebraska in the USA in 1982. 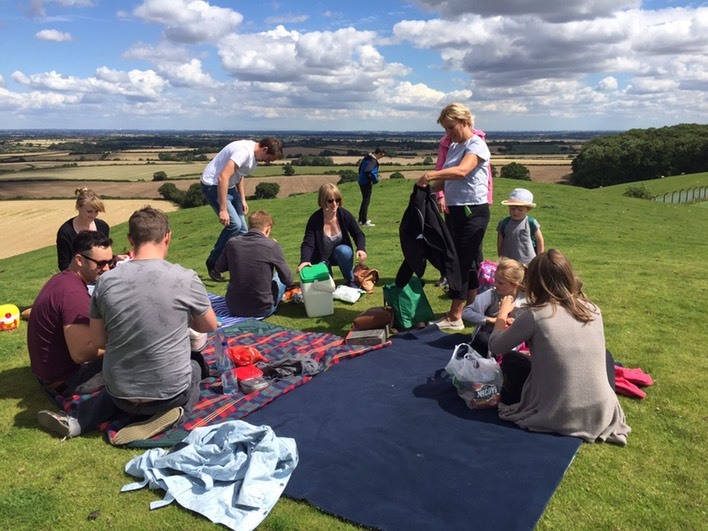 On 5th August a large family group of 16, descended from earlier well-known Gringley residents, visited the village en masse, to recall and revisit the places they knew or had heard about. Margaret Watson is the daughter of Tom and Mary Watson who used to run the general store in Little Lane. She grew up and lived in Gringley until 1948 when she went to Teacher Training College in Wimbledon. She taught in Nottingham and returned each weekend to Gringley until 1955. She married Alun Jenkins in the Wesleyan Methodist Chapel in the High Street in 1955. 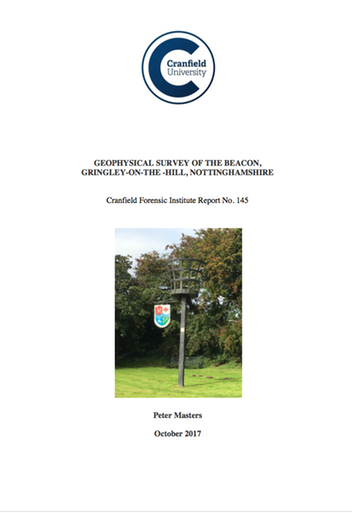 She continued to return to Gringley to visit Tom until his death in 1982, and now lives in Bramhall, in Cheshire. Her daughter, Mrs Marian Kelly, arranged the family visit for Marian and others, and contacted the History Club. We were able to provide a contact in Kathy McIlroy who helped a little with the arrangements. Tom Barker Watson was born in Gainsborough in 1895, a son of William Watson (1841-1896) and Hannah Newsam (1861-1934). Following William’s death, Hannah remarried Fred Ward (1852-1925), another with connections to the village, and they lived here briefly around 1903. Tom married (Eliza) Mary Milner (1897-1963), a daughter of George James Milner (1853-1919) and Caroline Needham (1862-1943). 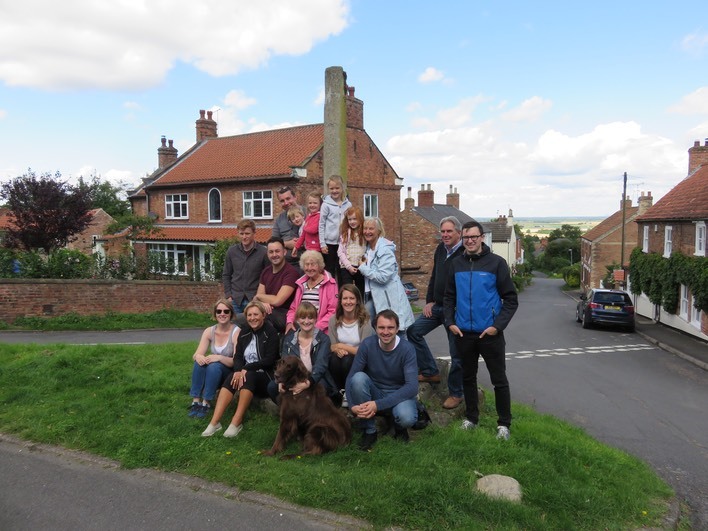 Both the Needham and Milner families have a long association with the village. George Milner was a pig dealer, and Gunner George Milner was their son and Mary’s brother. He died in the Great War in October 1918 and is buried at St.Aubert, and he features on the Gringley War Memorial and in our commemorative book of the 24 names on that memorial. Margaret herself also had two brothers and a sister all of whom came from Gringley. 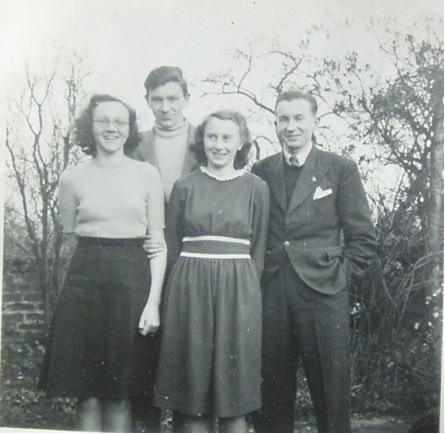 The black and white photo below features Judy, Jim, Margaret and Mike. The family are also related to the Carnalls and Swinburns, two other important families in the village’s history. 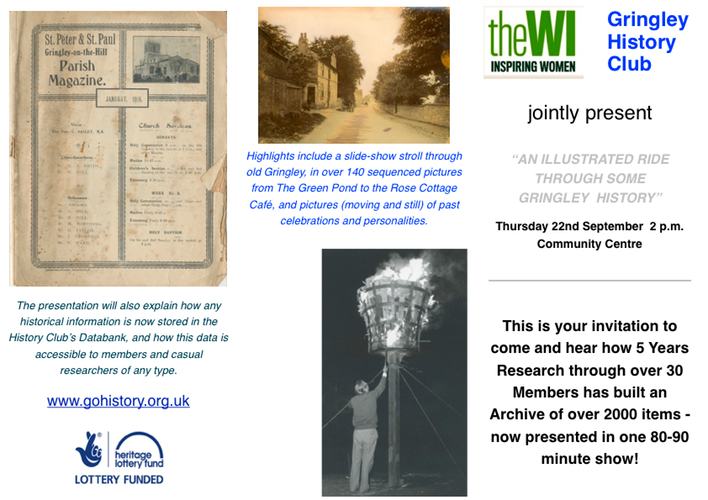 Margaret and Marian have now revisited Gringley again to share more of their anecdotes, photographs and documents with the Club. These items will in due course appear in the History Club’s on-line Databank. Also part of this second visit was Carol, a cousin of Margaret and granddaughter of Gunner Milner. Michael Needham from West Villa, and the author of “Michael’s Life of Rhyme” was invited to join the gathering, and the vistors and Michael happily worked out their family connections together. Mike Garrett organized a minibus to take 13 History Club members to visit Hull on 23rd May 2017. Mike and Megan originally met at Hull University, and they had carefully prepared a guided itinerary of the city’s history for us. We started at the pier in hesitant sunshine, and after an introductory talk covering events up to 1275 we had a coffee (and for some, a bun or two). We then walked alongside the muddy Hull river, observing the new Scale Lane Bridge, and visited the Museums Quarter with a choice of the William Wilberforce, Street Life, East Riding or Arctic Corsair - more if you were quick. 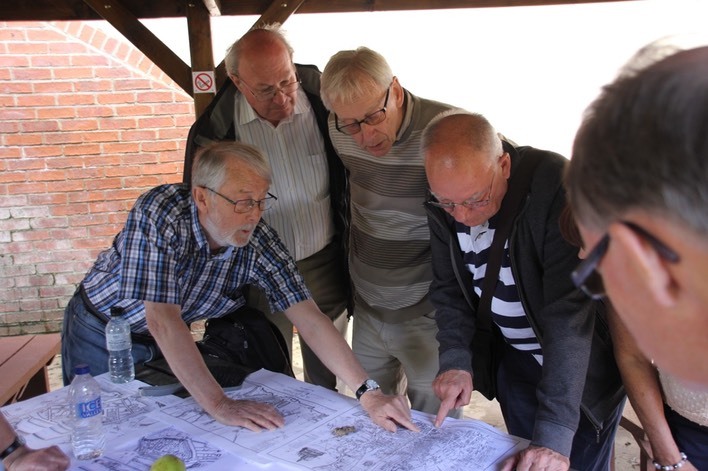 After a lunch break Mike took us through the old maps in an impromptu outdoor schoolroom, and Megan outlined the horrendous experiences of Hull in the second world war. The walk continued with a welcome stop at Ye Olde White Harte pub for appropriate refreshments and an unexpected meeting with an independent parliametary election candidate who allowed us into the Plotting Room which had played its part in the events prior to the Civil War in 1642. We visited the site of the old docks, now a park, and the original city walls. 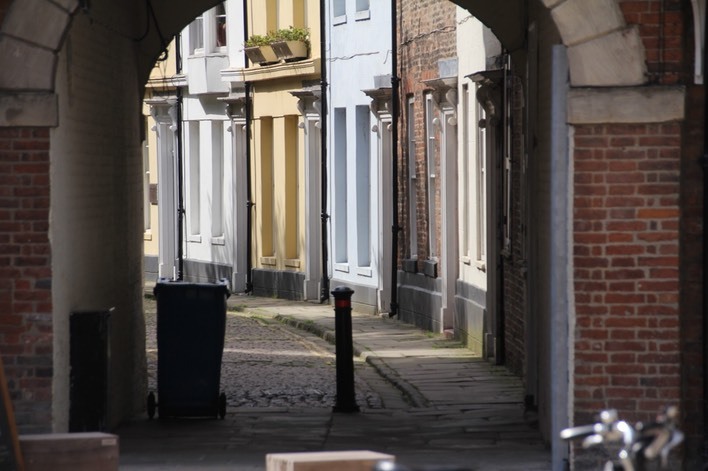 Further stops included the Land of Green Ginger, Beverley Gate and the Marina, before a visit to Holy Trinity Minster and the Old Grammar School. 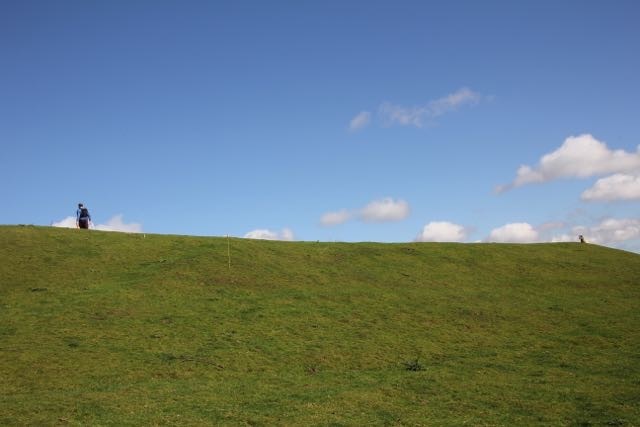 By now the sky was blue, the sun was beating down, and the Humber had turned to a bluer shade of dirty brown. So after an unscheduled stop for an ice cream we boarded the bus and were home in Gringley by 5.30pm, for yet another pint in the Blue Bell, purely for comparative scientific purposes. A big thank you to Mike, who is an excellent and through tour guide, and has clearly missed his true vocation. A fuller set of photos is shown in the SCRAPBOOK page. Dr Tracy Borman is joint Chief Curator of Historic Royal Palaces and Chief Executive of the Heritage Education Trust. She studied and taught History at the University of Hull and was awarded a PhD in 1997. She is the author of a number of highly acclaimed books. Tracy is also a regular broadcaster and public speaker across the UK and abroad. 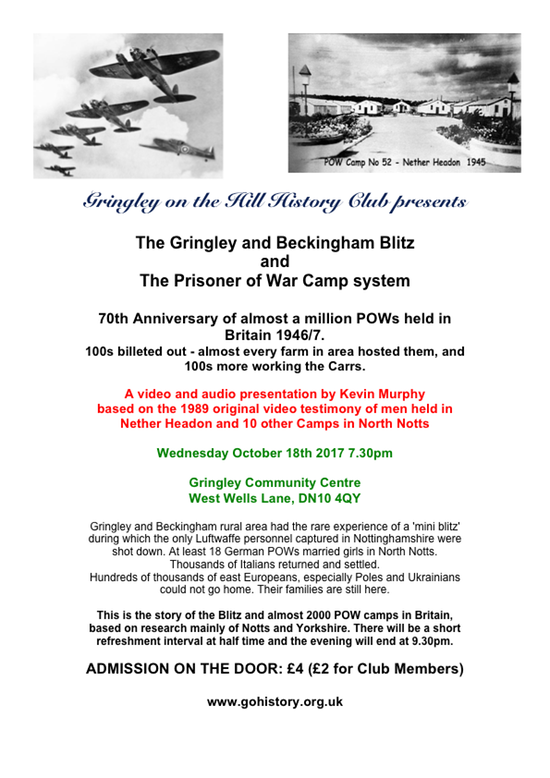 The Gringley History Club were keen to engage a high profile speaker to advance further the progress made since we launched in 2010. 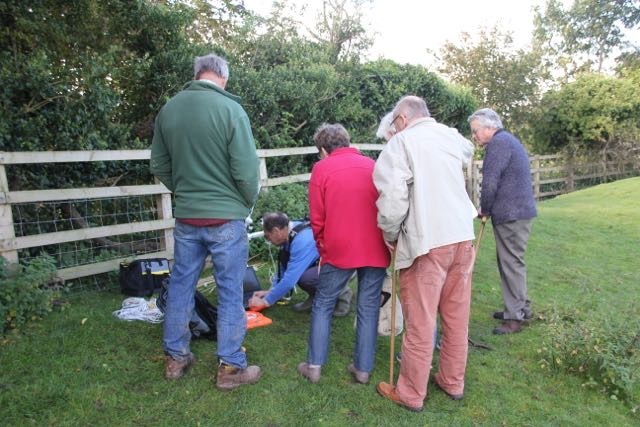 Tracy was originally from Lincolnshire, and came highly recommended by a couple of our members who had heard her speak before. 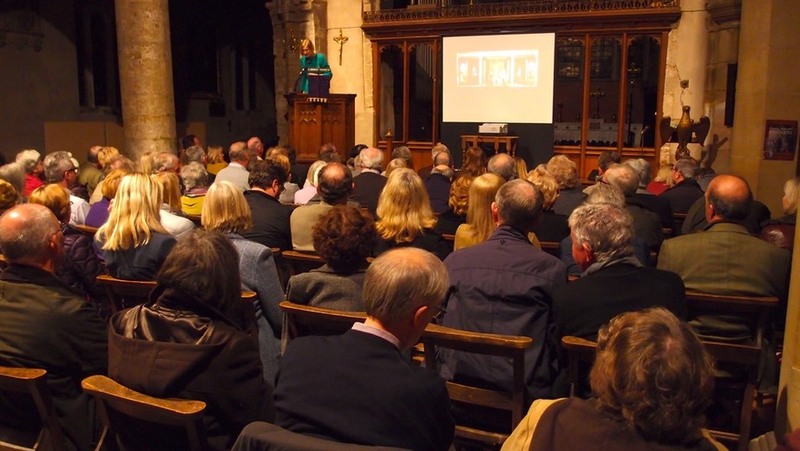 We were pleased to pack the Parish Church with about 90 guests on Saturday 25th March 2017 to hear her talk on “The Private Lives of the Tudors”. She spoke from the pulpit with great clarity and illustrated with some amusing pictures. Afterwards, Tracy answered several questions and signed books, while the audience indulged in tea or coffee or a glass of prosecco. The Club felt the evening was a great success and we shall attempt to secure her services again for her next book. There are some further photographs of the event in the SCRAPBOOK section of this website. 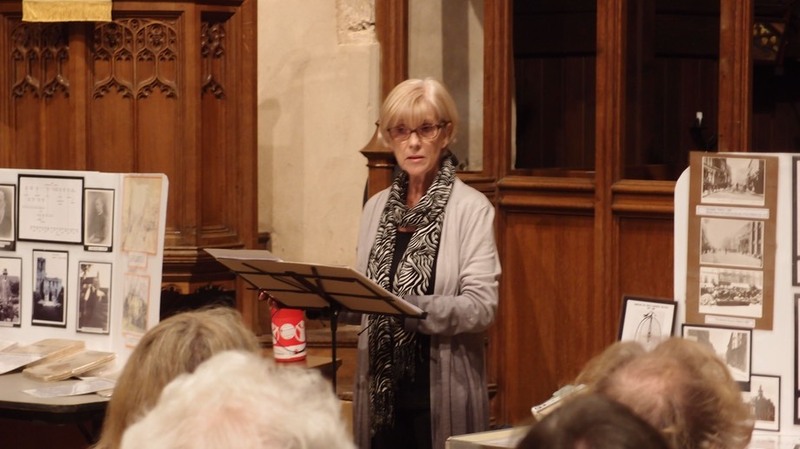 The History Club were delighted to present Joy Link talking about her "Boy on a Bicycle" book in the Parish Church on 6th October. There were three dozen guests to hear a very lucid and enjoyable presentation. During the mid session interval people could inspect the old photographs and read some of the diary extracts for themselves, while supping a cup of tea or coffee. 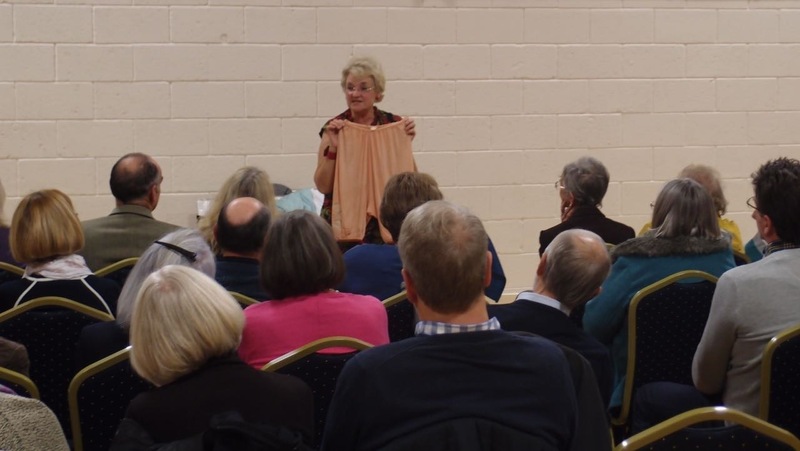 The audience were entranced by Joy's story and there were several questions afterwards. 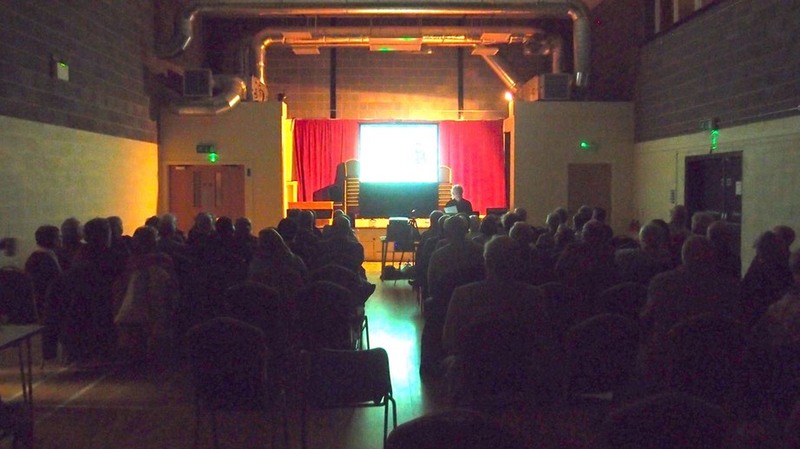 Indeed, it was difficult to get the audience out of building at the end so that we could lock up and turn out the lights! For those that do not know the book, it concerns the exploits of Henry, the second son of William Metcalfe, the long standing vicar of Everton in the late 19th century. Copies are apparently now in very limited supply. Joy came across the diaries, which were in the estate of a deceased neighbour near her home in Essex, and could see the quality and potential for editing and publication. It has been a project lasting 7 years. 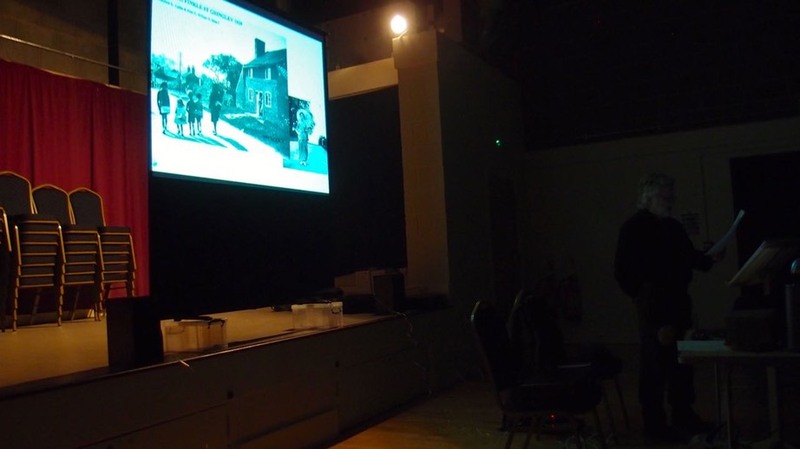 Alan Hickman led an illustrated presentation of Gringley History to an audience of varying ages and backgrounds in the Gringley Community Centre on 22nd September 2016. The event was jointly sponsored by the History Club and the WI, with the WI laying on a full afternoon tea and collecting the admission money. About 50 people attended in addition to the WI ladies who prepared the refreshments, and dipped in and out. A 2 o'clock start meant that the high 17 high windows along the northern wall of the Downton Hall had to be temporarily blacked out - a messy task kindly seen through by John Taylor on top of his ladder. 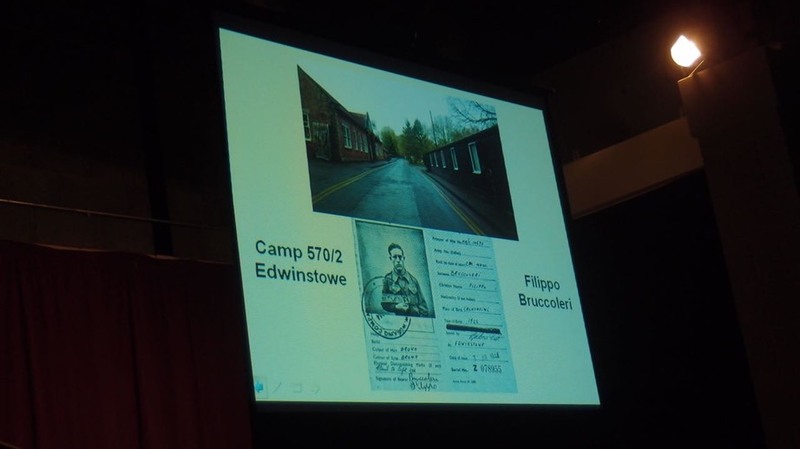 This was the second such presentation as an earlier one in January had been made primarily to History club members. Again the talk seemed to be well received and requests were made for a further evening presentation. 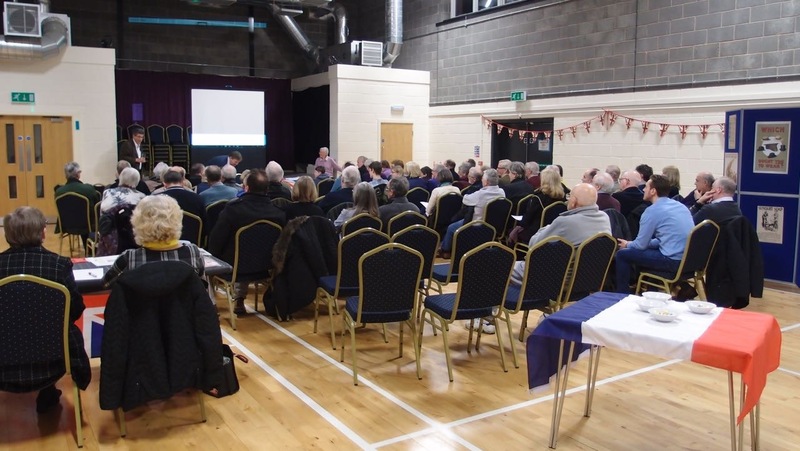 The audience included many people who have played their part in Gringley's history, and also providing material for our Databank. Please forgive us if not all are mentioned, but we certainly met Mrs Eileen Hunter, Wendy Rennison (Mrs Lifsey), the former Carnival Queen Mary Teasdale (Mrs Grayson) and our invaluable contributor Edith Teasdale (Mrs Newsham), Messrs Bob Clifton and John Langley.